It has been over a year since Sample Room opened their doors for us ladies and they continue to provide women with FREE products to try. And yes, I said FREE. 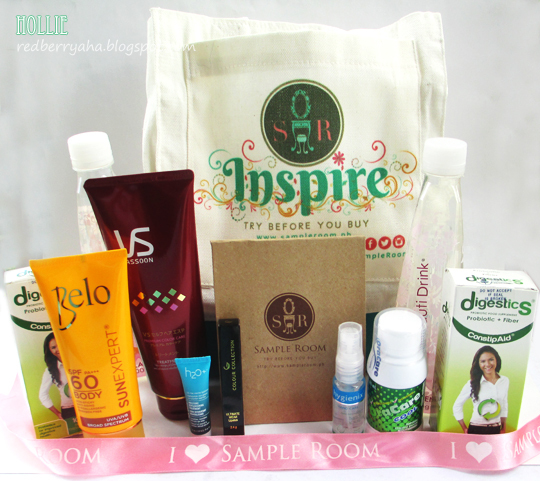 Every product featured in Sample Room, as long as it is in stock is absolutely yours to try. 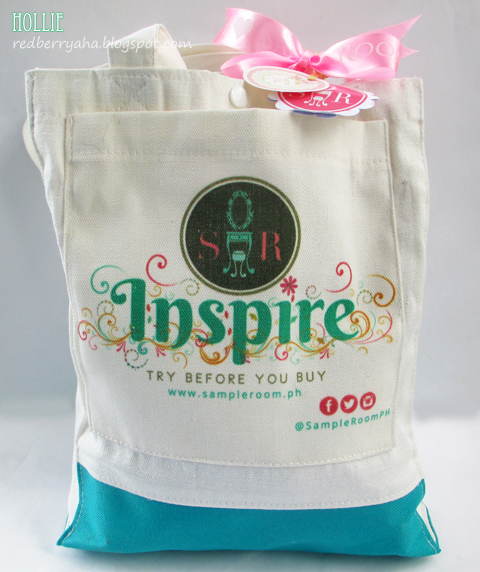 When you register at www.sampleroom.ph you will automatically receive 100 points. 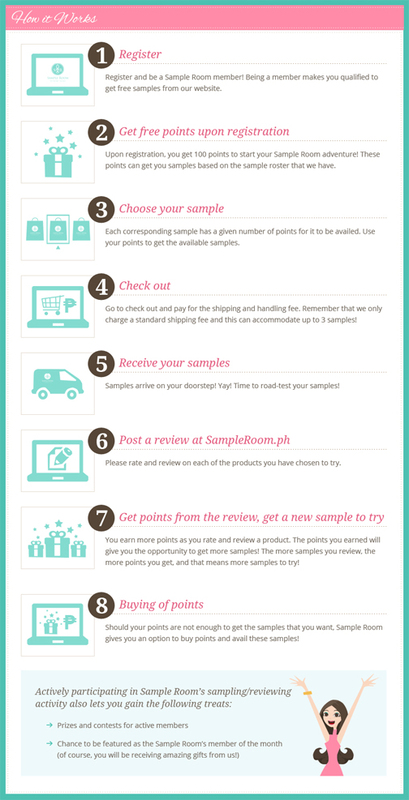 You can then use these points to grab available samples. You are allowed to grab up to 3 products per transaction as long as you have the correct number of points to grab a particular product. Points needed per product varies. Some products will cost you a full 100 points, some only needs 30 points. In short, you need to make your points grow in order for you to grab more samples. I have been a member of Sampleroom ever since they opened in 2012. I was very curious about trying out some products from Celeteque since they released different skin care lines. I got the chance to try some products from their Age Care line and Brightening line through Sampleroom, which I ended up loving and still repurchasing up to now. These are the samples I recently received from Sample Room and most of them are Full Sized. 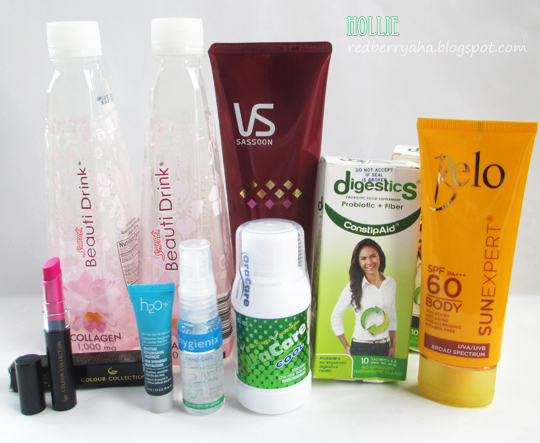 They have a wide variety of product samples up for grabs. It ranges from Skin Care, Hair Care, Body Care, Cosmetics, Tools, Health and even Lifestyle products. One of the reasons why I love blogging is the how I discover a lot of new things. I'm heading to the site in a bit to check it out. Thanks Hollie! Oh This looks like a really nice website :o I wish we could have something like this here! Sample Room is amazing. I love how they're persistently strict with the review guidelines so they can weed out those who take advantage of the system. Wow that's such a cool concept! I wish we had something like this in Canada!